A new home for 2019! In 2010 when I moved to Arizona after losing my home in a hurricane, I knew that my passion for dogs would only be met in volunteering to save lives. I started volunteering at the county shelter and loyally devoted my time to doing everything I could to help. The shelter was taking in 50,000 dogs a year and many would never leave the shelter. I loved all the dogs, but my heart was always with the German Shepherd and Belgian Malinois dogs. The volume of them losing their lives broke my heart. How could an owner just drop off their dog; how did a lost dog not have an owner looking to be reunited? How could a dog be sitting unnoticed in a kennel with the end of his life coming in just 3 short days? Why weren’t many rescues stepping up? Where were the GSD rescues? I could not accept the fact that no one was doing anything. So in 2012, after months of waiting, I had my 501(c) (3) paperwork in hand and “Saving Paws Rescue” pulled its first dog! I had in my mind I would start with 2-3 dogs, find good loving homes and then save a couple more dogs and find good loving homes. It seemed like the right way to manage starting a new rescue. I quickly realized that saving the lives of those the most in need – sick, injured and old – had the strongest pull for me. Those that needed medical care seemed to find their way into my arms. Suffering was not going to happen if I had any say about it. My plan seemed reasonable for one person to handle, right? Well, not as easy as I thought and I was lucky to welcome people who joined in my passion. I was lucky enough to adopt to an amazing couple who also became my first official foster volunteers, John & Deb. (Today they have three SPR foster dogs in their home). Shortly after, another volunteer, Michelle, jumped in with both feet to help me and SPR get off the ground. We were not prepared for what would happen to us and shape SPR for the future. 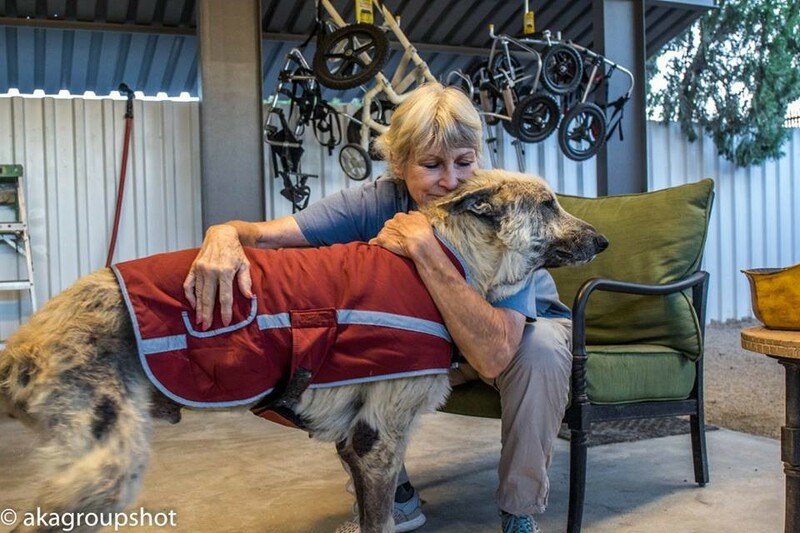 The rescue of 26 horribly neglected and abused dogs from a backyard breeder would be called “The Parker Dogs.” All 26 lived on a rural property and the conditions the dogs were found living (and dying) in were the worst I had ever seen - then and to this day. Leaving dogs behind on that initial day when only the sickest could be taken was the hardest day of my rescue career. So, what did 26 dogs do to a small rescue? It brought out the fight in the people who cared. What does $25,000.00 in veterinary care debt for 26 dogs bring? An incredible sense of worry, but along with it, an incredible faith there would be people who would step up and donate to save the lives of the innocent. The Parker Dogs would only solidify the mission for SPR – to provide a safe haven for those who needed us the most. So where is my next “line in the sand”- what is the next goal to achieve? With over 75 devoted volunteers, SPR has become what it is today. These are the people I wasn’t sure existed and shared my passion. They are people who work a job or two, go to school and still find the time to come and give what they can. Weekends, nights and holidays they are here. They do jobs that are not glamorous – like cleaning kennels, doing laundry and scooping poop. Many nights you can find a volunteer(s) sleeping on a chair or on the floor with a sick dog that needs us. They are here to welcome newborns into the world and to hold those as we say goodbye. They are behind the scenes as much as out in front. For those who could not be here, they open their wallets. SPR is always happy to receive that $2.00 monthly donation, a roll or two of paper towels or a bag of dog food. It all collectively adds up and makes SPR work. As word of our work spread, so did those that stepped up to help. Those able to give more did, and that in turn, helps us save more medical cases. We saved lives that many said couldn’t be done. We continue to help those that need us the most – the ones that others often pass by. When I am asked, “How is this going to work?” I often reply, “We will figure it out.” We will continue our mission and do it in a way that honors all those that share in the work we do. I am honored to be able to say that so many have shared and joined me in my passion. We have had 145 dogs enter our doors this year. Some have come through being carried, too sick to walk, or been brought in carried in the bellies of their pregnant moms. Today my “Christmas Story 2018” is about how SPR got here and how thankful I am for all those that helped along the way. My Christmas Story 2018 spoke of my passion for the work of saving lives, but I didn’t talk about how to make the day-to-day operations of running a rescue work. It’s not easy to balance the passion of saving lives with the reality of how you save as many as you can and still keep the lights on and the doors open. With those devoted volunteers and giving supporters, SPR has become stronger and more determined than ever to make a difference and save as many lives as we can. We have built a reputation on fulfilling our promises to the dogs. Fosters, Adopters, Volunteers and Supporters have shown collectively that it’s possible to dream big and achieve goals most thought out of reach. With hopes, hard work and dreams, SPR has left an impression on so many lives throughout the years. This year one such adopter came back to SPR to share their story of their “Match of 2014.” Peggy and Monroe wanted a GSD! They wanted a young, active girl. As luck would have it, SPR with help from The Miracle GSD Network, saved a “teenage” GSD from a high kill shelter in California and brought her to Phoenix. Peggy and Monroe met her and quickly determined that she was “the right match.” She was a handful and would need lots of guidance, but we determined that they were prepared to offer her a loving forever home, so she was loaded up and started her amazing life with them. Monroe and Peggy have gifted SPR a 5-acre property on which to build the new home of SPR. 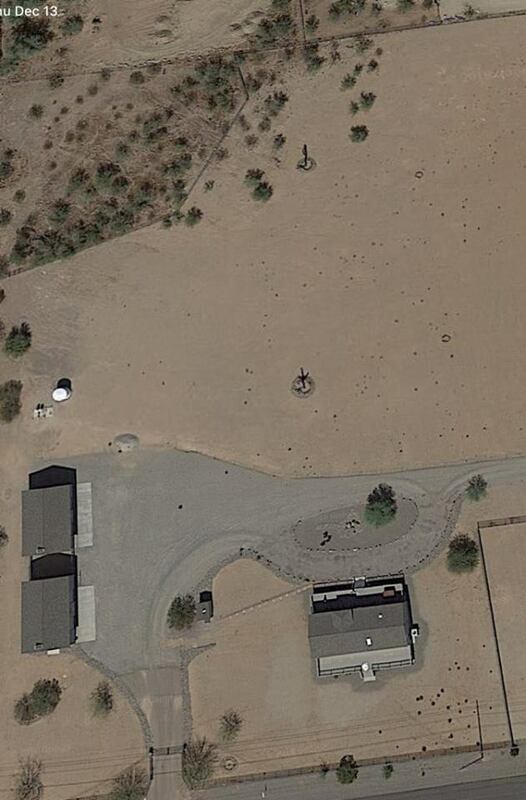 The “Ranch” already has two large warehouse buildings and another structure to get us started. Our dream for more space and a better facility is within our reach and we WILL make our dream a reality. Our challenge ahead is to raise funding to build that new facility. We have big dreams and we will make this happen. As we head in to 2019, our goal will be to complete the dream. It’s a dream we all have had. A wish that we make every day; that more lives could be saved. Those that follow us have that same love and want what we want so we ask that you help us. Today we ask you to join us. Funds will need to be raised, connections made, and oversight provided. A “new” Dog House will be built to support our expanded vision of saving more lives, and providing those who need it - a home-like sanctuary for those that live out their lives with us. In the next few days, when SPR dog #1300 enters our doors, he or she will get a promise that “WE” will do our very best to find them that perfect forever home. We are excited to look ahead to #1400 and beyond as our new facility will help us save more lives. You can help us achieve our goal! We are working hard on the design and structure and will share when we have more details finalized. SPR has been built on the devotion and support of all who follow us, adopt from us, foster for us, volunteer with us, and support us. Our dream is becoming a reality. WE are SPR! If you’d like to support our building capital campaign, please use the donation button below.